Maximise your movie, TV, gaming and music experience with a dedicated home cinema system. CAV provides home theatre system installation for homeowners across Kiama, Southern Highland, Illawarra and beyond. 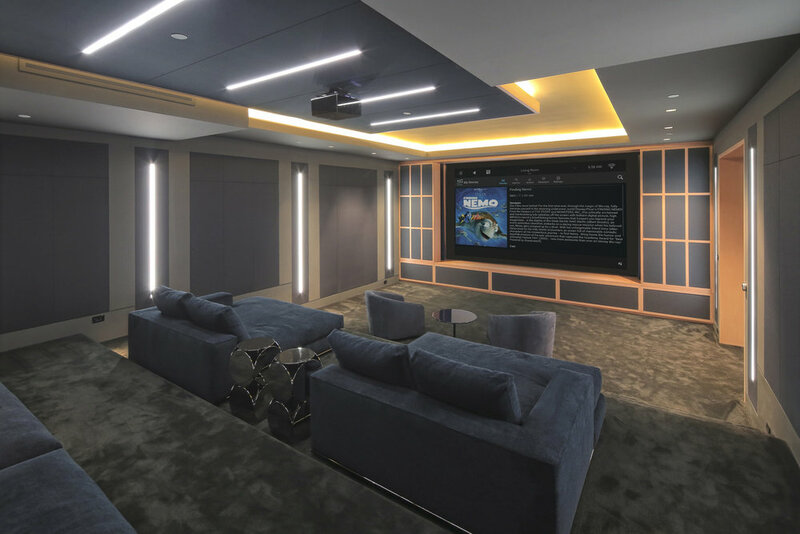 From designing bespoke home theatre systems or media rooms to final home theatre installation and exceptional home theatre automation solutions! When you want it right the first time, CAV delivers the cinematic experience for you. We can help transform your empty room into an entertainment hub for your family and friends. Our passion, expertise, and experience in design and installation of different types of home theatre setup for residential and commercial spaces help us recommend the best combination of television, projector screen, sound system, lighting and décor for a complete cinematic experience in every sense. CAV Home theatre system installation brings the enjoyment of the movie theatre into your home. Enjoy a multiplex film experience at home with a dedicated private cinema in which the environment is precisely designed and engineered to provide maximum movie and music enjoyment. If you’ve already purchased home cinema components or require professional help for re-installing home theatre in your new home, Connected Audio Visual also provides affordable expert home theatre services. Home cinemas will provide you with years of entertainment. The perfect place to watch movies, sports, instructional material and play video games. Create an elegant, stylish and immersive experience that complements your beautiful interiors. Get creative and de-clutter your living room space to enjoy a complete cinematic experience. From simply mounting your TV to transforming a living space into a cinema room at the touch of a button, we know best to curate an immersive home theatre experience. Whether you want a ceiling mounted, a wall mounted, or a motorized surface mounted projector and screen installation, we at CAV have it covered, no matter your budget. At CAV, we work with you to set up a home theatre that suits your budget and lifestyle. Call CAV home cinema specialists on 0402 355 788 today.